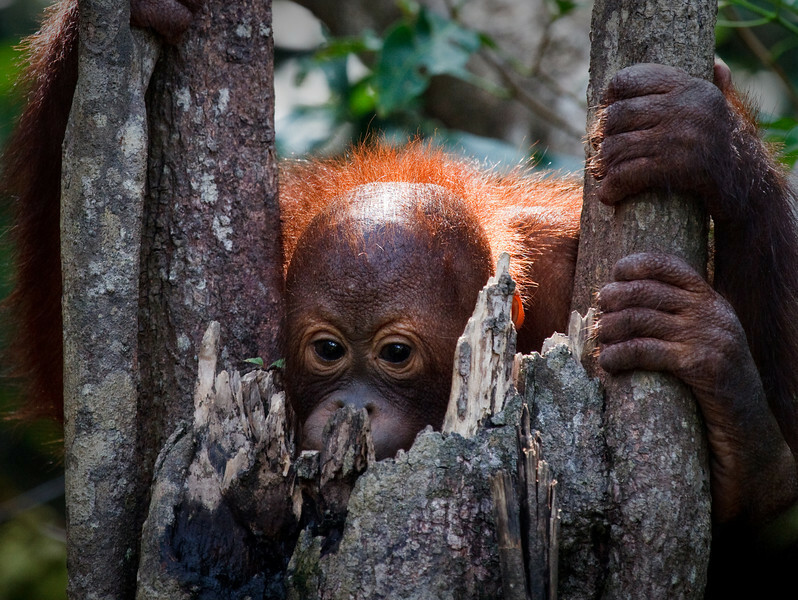 The orangutans are two species of great apes. Known for their intelligence, they live in trees and are the largest living arboreal animal. They have longer arms than other great apes, and their hair is typically reddish-brown, instead of the brown or black hair typical of other great apes. Native to Indonesia and Malaysia, they are currently found only in rainforests on the islands of Borneo and Sumatra, though fossils have been found in Java, the Thai-Malay Peninsula, Vietnam and China. There are only two surviving species in the genus Pongo and the subfamily Ponginae, which includes the extinct genera Gigantopithecus and Sivapithecus.